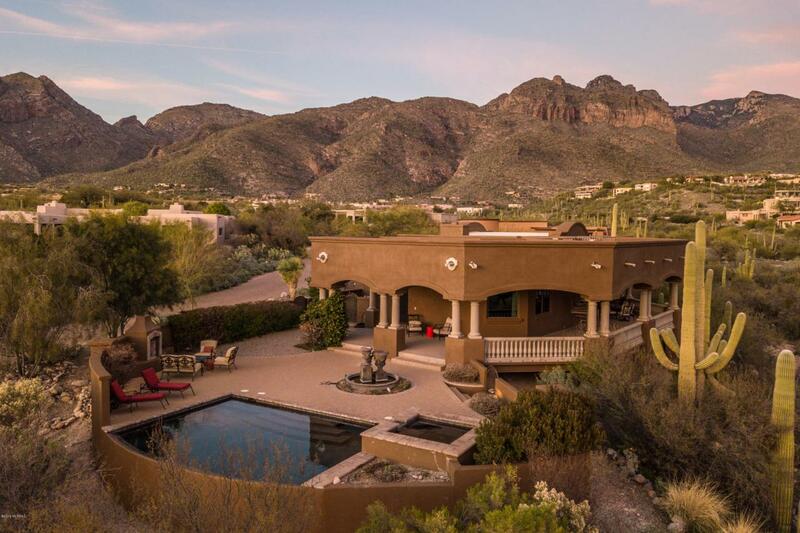 Stunning Pima Canyon home features panoramic views of the mountains and city. 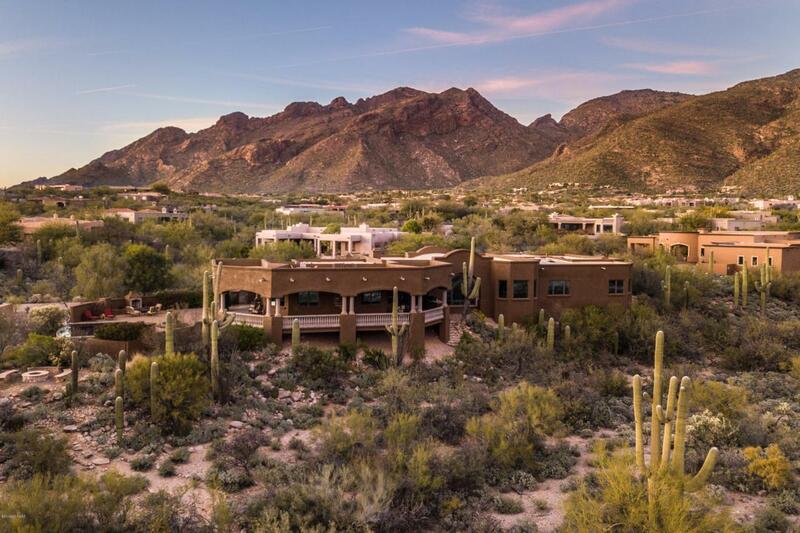 Meticulously cared for, the home boasts a chef's kitchen with Dacor appliances, large island, & choice of breakfast bar or a nook overlooking the desert to sip your morning coffee, split floorplan with glorious master suite (open your eyes in the morning to a gorgeous Tucson sunrise?) 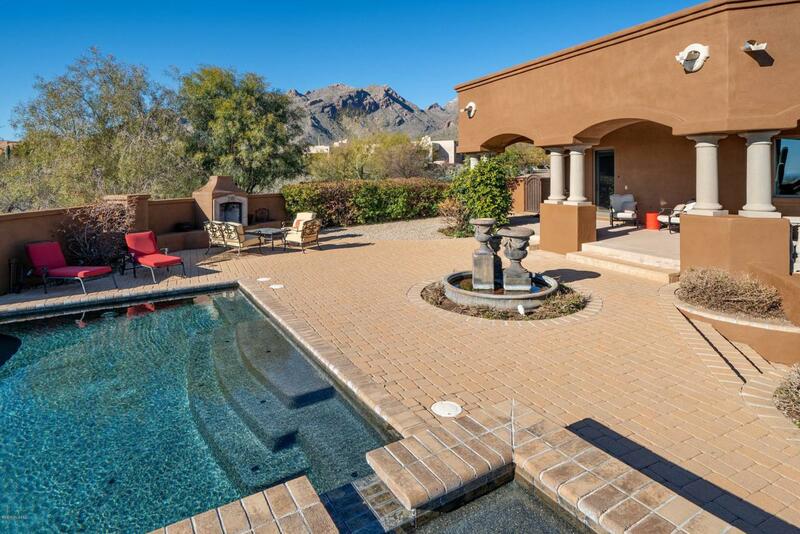 Entertainment options abound - the long patio to bbq while enjoying the mountains or city views, the paver pool area with infinity edge pool, spa or fire pit? Or head up to the roof top deck for a very special 360 degree view. Relax in the family room and catch up on the latest movies. 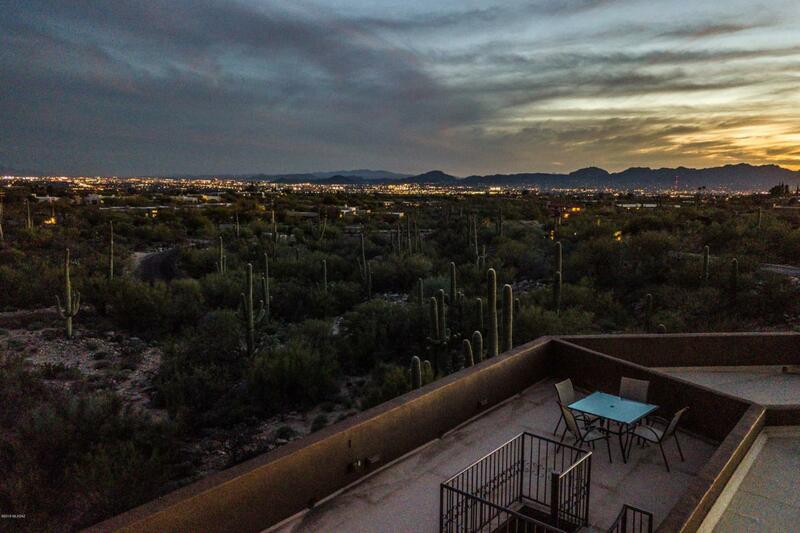 The lot is 2.6 acres, so privacy is yours.